Animated Annie Smith is happiest singing with a bunch of fine musicians who can groove and swing an engaging variety of standards spiced with some Latin and blues rhythms. This group has entertained many an Inverloch fest audience which always features Annie's irreverent humour as she jests and jousts with the band and her audience. She's scatty and she scats! Fun for all!!! Once described by the English Jazz Journal as having a “fluid contralto which she employs to produce a delightfully creamy sound and she swings ably and effortlessly”, Anita Harris has been on the Australian Jazz Scene for more than two decades. She has a large repertoire of jazz gems, four albums available on the Newmarket label and some of Melbourne’s finest musicians on hand to work by her side. Melbourne Chamber jazz is an intimate acoustic-based ensemble influenced by classical music and a mix of latin, straight ahead and standard jazz. With the well known musical director Peter McCutcheon on piano and the driving rhythms of Leon Heale on double bass, Anne's warm sensual vocal tones are highlighted in intricate and playful arrangements of diverse works from Berlin to Jobim to Mancini and Bacharach and beyond. If you like great entertainment, lively musicianship and latin rhythms come and enjoy this group. You will hear Brazilian samba and bossa nova, Argentinian tango, Cuban son and latin jazz and the fascinating patter and vocal talents of Annie Smith. B3 Madness is an organ trio that aspires to the impressionistic and expressionistic. The band's goal is to create fresh, new music that always feels 'live', featuring spirited improvisation. The trio perform Nicole's original tunes and the occassional standard, creating contemporary jazz while reflecting the history of the great organ trios of the past. 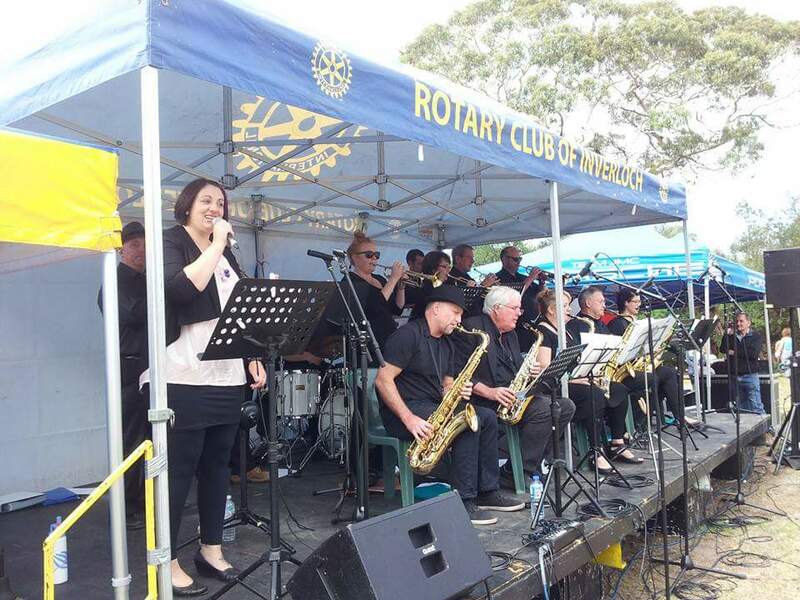 B3 Madness has been performing at the Inverloch Jazz festival since the band formed. They have release two CD's, and this year the band have been working on a recording which is currently being mastered for release in the next couple of months. This Album unlike past CD's has only standards on it, the madness giving their fresh, live interpretation take on some beautiful old standards. We play Latin Jazz and Flamenco music. Two acoustic/electric guitarists, bass guitar , percussionist. The group combines elements of traditional... Spanish guitar music with Latin Jazz rhythms and virtuostic improvisation to wow and entertain audiences of various musical tastes. Blue Tango is an acoustic duo (guitar, percussion and two voices) with a difference! They specialise in creative arrangements of jazz, blues, latin and ragtime classics. Comic parodies are an important part of their repertoire too. From sensitive torch songs , Funky Latin and Swinging Classics ,Body and Soul will get you in the mood and in the groove ! These two characters have been associated with the festival for many years. Kevin with his delightful guitar work and Clive as a committee member with a love of guitar music. "Tasty tunes with crafty chords" is how they sum it up. Chris Wilson and friends is an energetic blend of jazz ,blues and soul ..from jazz standards to rhythm and blues to soul and funk they engage the audience and take them on a journey from New York to New Orleans to London's​ jazz clubs. Neville founded and played in the first Inverloch Jazz Festival all those years ago and we asked him to put together a band of musicians who had played in that first festival in 1993. 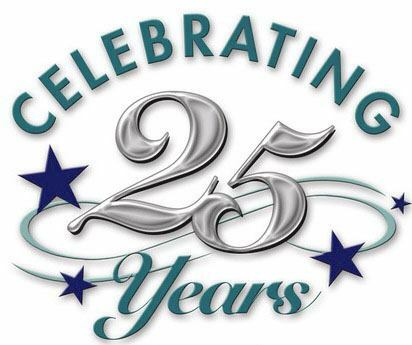 And what a band it is, arguably playing better than ever and performing a tribute to all those fine musicians who have played over the 25 years. This is a band not to be missed. An exciting group of talented musicians providing swing music to get your feet tapping, and often with a taste of Funk. Led by Melbourne based Honkytonk Pianoman, Mark Nunis, Honkytonk's Boogie Band play a mixture of originals and Blues n' Boogie tunes from the 50's & 60's era. Members of HBB have been involved in the Australian 50's Rock n' Roll, Blues and Jazz music scene for many years and have performed for many dances, festivals and pubs. Jake Amy and his 6-piece outfit present a jazz/soul fusion screaming with sax lines, hot rhodes, pocket bass, grooving drums, and funkadelic 70s sounds. 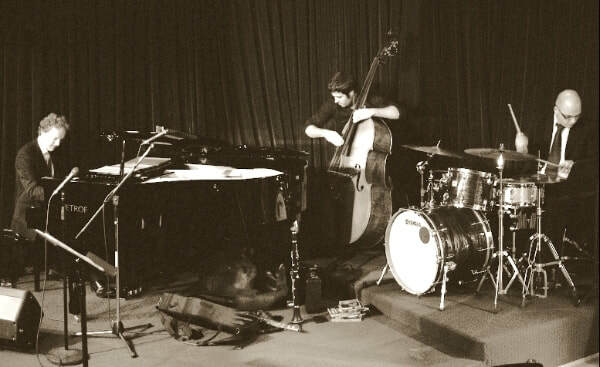 They have performed in some of the hottest jazz clubs, such as Melbourne's own Paris Cat, with their unique and eccentric style of performing delighting audiences of all ages. The conversations between each player are intuitive, and this results in a highly energetic performance. Jazz Notes brings crowd-pleasing repertoire and on-stage enthusiasm, engaging audiences at festivals and a range of live music venues around Melbourne. Enjoy Rick’s velvet tones as he covers crooner classics, jazz and bossa standards (and not-so-standards) and some classic rock/pop. All given the jazz treatment by the unique combination of flute and guitar over a strong rhythm section – a combination that has proven popular with audiences at festivals and a range of venues around Melbourne. Jazz Squad has been around the jazz scene for the past six years, and is comprised of some of Melbourne's finest and most experienced musicians. Centre stage is one of Australia's best vocalists, the beautiful and entertaining Sarah MacLaine. The swinging sounds and compositions of such great composers as Ellington, Basie, Gershwin, Cole Porter, Rogers and Hart etc. shine through. ​Mon Picnic - A great way to end the festival. 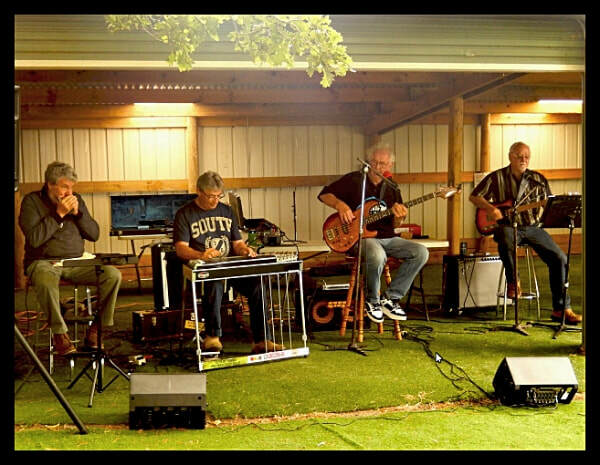 This local band brings Western swing to the festival for the first time, and features Colin Whiteroad on Pedal Steel. Ex president of the Inverloch Jazz Festival Ross Owen on harmonica, with 3mfm's Big John Cartright on bass. Jeff Cullen on guitar and vocals keeps them all honest. 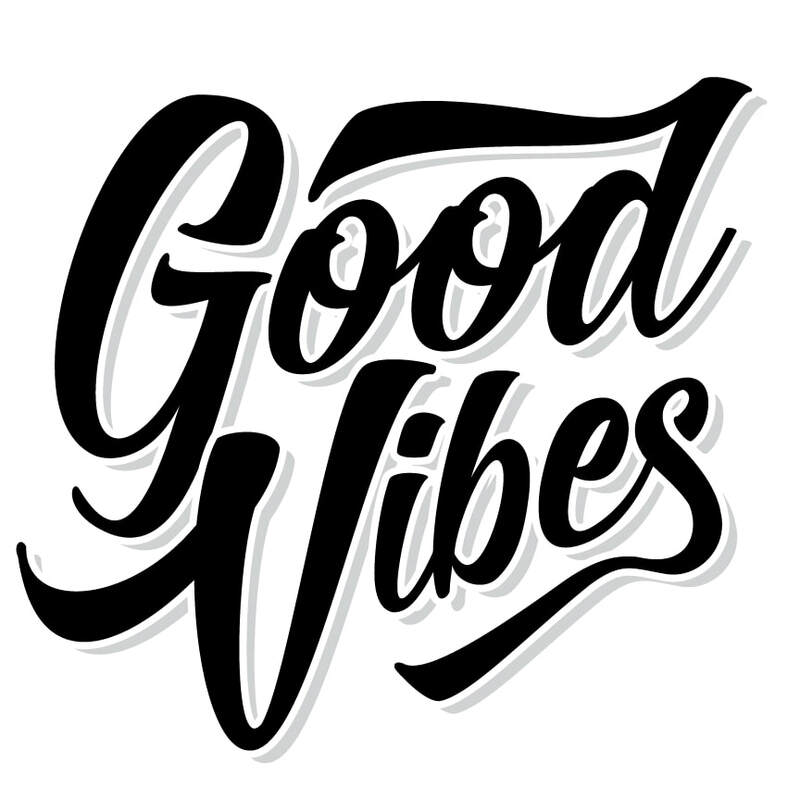 Formed in 2014, Ladies Be Good! is a group of friends who wanted to get together, perform and be different from all the other bands playing. A strong front line of ladies sharing beautiful music with lovely musical interpretations. In their repertoire you’ll hear some well-known jazz tunes and more. Stunning vocals, interesting arrangements and talented musicians, combining youth and experience. They love what they do and have a whole lot of fun doing it. ​The Merri Creek Jazz Band gave their first performance in 1994, and since then have been a fixture at the Inverloch Jazz Festival, having played in 23 festivals to date. 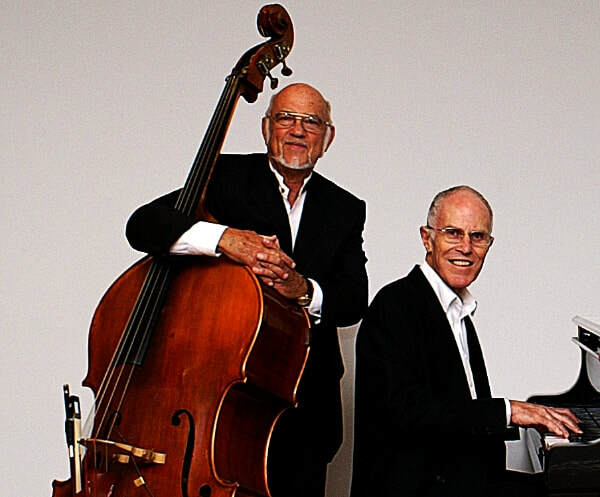 They also performed frequently at the Halls Gap Jazz Festival, and more recently at the Port Fairy Jazz Festival. The leader of this trad jazz band is trumpeter and vocalist Trevor Davey. The upper harmony is filled in by Geoffrey Beauchamp on the clarinet with Ezra Kowadlo on the lower end playing trombone. The rhythm section is kept in check by John Bertram on keyboards, ably assisted by Dave O’Sullivan on the drums, Barrie Kenny on the bass and Robert Butcher on banjo. Jonathan is regarded as one of the country’s finest jazz pianists. In his youth, he worked extensively throughout England, Europe and Australia, including Ronnie Scott’s Jazz Club and the Savoy Hotel in London and the Casino in Monte Carlo. He also worked for many years at the BBC radio and television stations in the UK. His playing exudes pure energy and joy on stage! A prior student of Classical Singing and member of many theatre productions and vocal groups, encompassing many different styles, Wendy has found her niche in jazz and has developed her own soulful, passionate style. Her influences range from Ella Fitzgerald, Etta James through to Dinah Washington and Dianne Reeves. 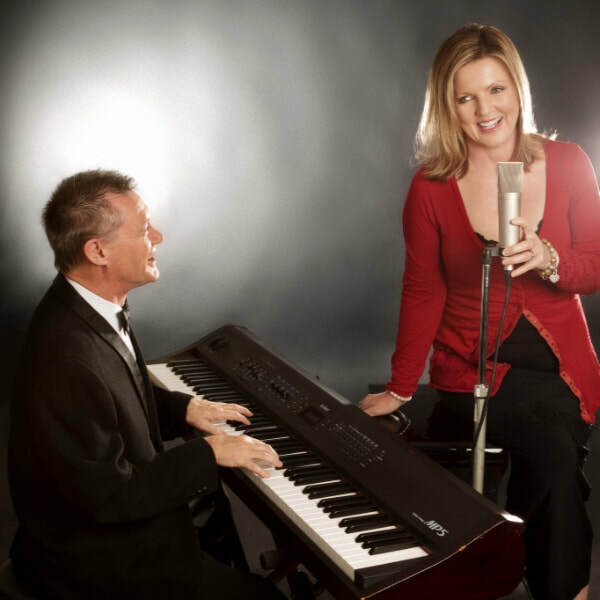 From Blues to Swing, Wendy's vocal range brings new life to old favourites! 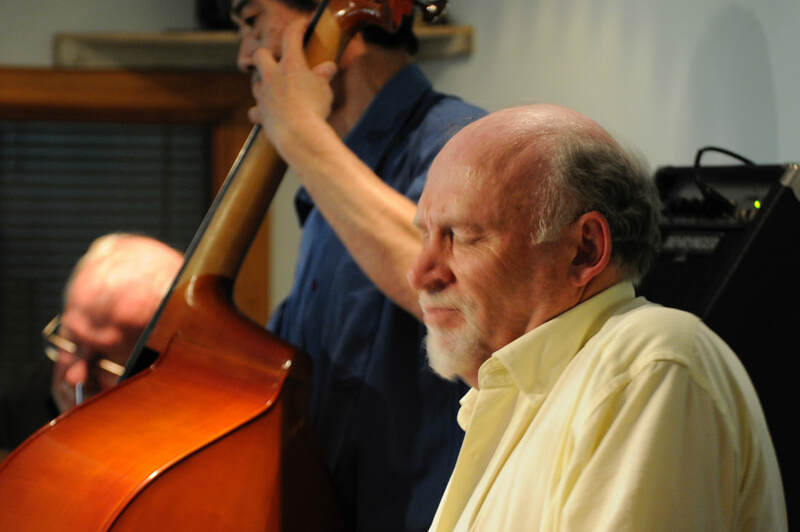 Over the years Geoff’s double bass playing has embraced a wide variety of jazz genres. These include: standards, be-bop, post-bop, contemporary, originals, swing, avant-garde, ‘straight-ahead’, etc., in a variety of line-ups including duos, trios, quartets, big bands etc. Next Jen represents some of the most outstanding young musical talent in this country today" - Roger Clark, The Waterline News. Next Jen is an upcoming 6-piece young jazz group from Melbourne. With the big baritone sax out front, and their enthusiasm and professionalism matched by their musicianship, they were discovered and had their first album recorded by the legendary Bill Armstrong AM. Next Jen puts a fresh take on standards ranging from traditional jazz to bossa nova, encompassing the rich history and diverse styles within the depth and breadth of jazz. Now, with the new addition of a vocalist, the group has added another dimension to their repertoire. This ever-popular trio has been missing from the Festival for the past couple of years, and has been greatly missed by their many fans, If you want to see how musicians interact and enjoy playing together, then this is a band nit to be missed. Interestingly, the trio has the same "engine room" as the Ron Anderson Trio, but produces a totally different feel behind the emotional output of Nicole. After long careers as professional musicians, Peter McCutcheon on piano and Leon Heale on bass, have decided to 'travel light', forming an exciting acoustic-style duo of piano and double bass. With skill and passion, they bring jazz, latin, pop and even classical material to new heights. Peter's arrangements of well-known jazz tunes will delight you. Their repertoire can be driving or delicate, light-hearted or thoughtful, but a high standard of musicality is always their first priority. Playing “Hip Jazz” from Parker to Coltrane standards to jazz sketches and the music from Blue Note. Ron has been described as multi-talented - well, here he is featuring on piano, the instrument he started on many years ago before switching to sax and flute. One of the genuinely exciting piano-based trios to perform at Inverloch, Ron is accompanied here with close friends Eiji Takemoto on bass and Graham Morris on drums (the same "engine room" behind the ever-popular Nicole Thorne). This trio is not to be missed. The band leader, Rory has been described as “New young pianist of enviable talent” – Don Brow– Jazz Scene Magazine. In 2004, Rory has been fortunate to study with some of the best including legendary pianist McCoy Tyner in 2004. His trio is backed by the legendary Geoff Kluke on bass who has worked with international legends including saxophonist Phil Woods and many others. Drummer, Scott Hay has been likened to Paul Motion with his skillful drumming and has been a long-time collaborator with the band. Together they will be presenting a suite of arranged standards and some originals. 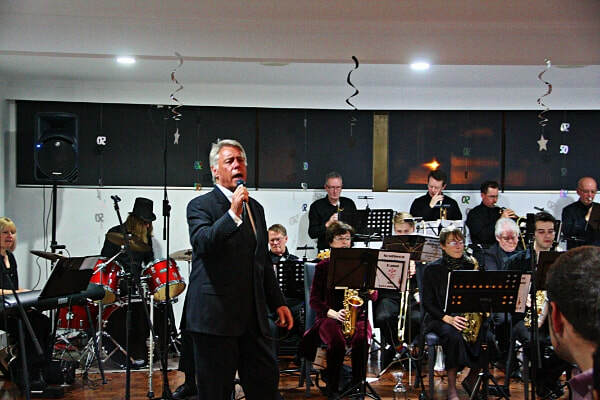 The Salvo Bigband is a twenty piece jazz band presenting music ranging from classic jazz standards, contemporary big band charts and original compositions and arrangements from band members. In 2010 the band represented the Australian Salvation Army in Sweden at an international youth convention. 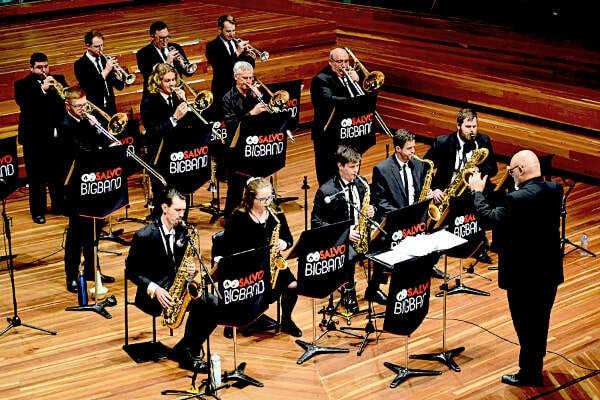 Since then the Salvo Bigband has performed at a range of functions from corporate bookings to Church Services and Jazz Festivals - including hosting the Inverloch Jazz festival's Gospel church service. The bigband is also a stalwart of the annual Salvation Army 'Christmas Gift', backing renown artist such as The Idea of North, Chris Sebastian, Kane Alexander, Justin Gall, Emma Pask and Debra O'Toole. SSSB is a community band that loves playing good swing standards from the 40's, 50's and 60's jazz/swing eras. We have coupled those great pieces with some of the more contemporary numbers as well as those that have been recently revived by today's top pop vocalists. The Steel-Harris Duo (formerly the Steel -Turner Duo), has traditionally performed the last set on Sunday night for the past 14 years, and is recognised as one of the features of the festival. The group features an eclectic selection of "late nite jazz" performed by two of our best known and appreciated musicians. In addition, during the set they will be joined by two of the festival's favourite singers, Anita Harris and Sarah Maclaine. Streeton Court Big Band has been established for many years now and we are your local Big Band. We offer toe tapping classics through to stylish modern tunes. We live and breathe jazz and look forward to showing you a great time. Sweet Ade is lively, cheerful and refreshingly different. It features a colorful line-up of recorders, reeds, piano, washboard, drums, sousaphone, ukulele, accordion and vocals – there’s no other jazz band with its unique combination of instruments and eclectic repertoire. The band plays an entertaining, interesting and diverse program with creative arrangements of music ranging from the late 1800's to the present day, balancing well-known tunes with little heard gems. It’s named after Ade Monsbourgh era and includes Australian jazz from the Ade Monsbourgh/Graeme Bell era. The ishs/Allen Project plays original contemporary jazz music composed by the bandleaders, pianist ade ishs and drummer Chelsea Allen. Their music incorporates influences from various other genres, including classical, funk, rock, and more, emphasising on drama and imagery to take the listeners on a sonic journey. The group has performed in many esteemed festivals, both in Victoria and interstate, where they consistently receive warm receptions. The band has recently released their sophomore album “Stories Under the Sky”, following their debut album that has garnered positive acclaims from critics. Their appearance in this year’s festival is part of the album tour. An afternoon or evening of fun with the JASSisters (Jenny Stengards, Anna Struth and Su Rogerson) singing old and new standards in gorgeous 3-part harmony. Familiar faces in the Melbourne music scene, this trio spice things up with their own vocal arrangements, putting a new take on the swing classics. With a fabulous band backing them you get to hear the very best of the swing era. Keith Stevens is one of the great vibes players, an instrument we hear too little of at jazz festivals. Keith is here accompanied by a group of fine musicians who have worked together as a band with Keith, bringing delight to audiences at numerous festivals over the years. Patsy O'Neill started singing in London where she performed on tv, radio and musical theatre. She went to America to further her career in the theatre and night clubs and remained for five tears before returning to London and then in 1972 she came to Melbourne and made several appearances on channel 7's Penthouse club. After many years of appearing at jazz festivals and conventions she moved to Inverloch and is now part of the jazz festival committee. Patsy feels very proud to share the stage with a group of highly respected jazz musos. PPSB is a Melbourne based community band since 1970s. The band plays Jazz and Swing music from the 1920s-80s. The band is a regular performer at Jazz festivals including Inverloch in the past. In the past 12 months it has been appeared at AJC Ballarat, Halls Gap, Port Fairy & Castlemaine. The band also appears in and around Melbourne at the St Kilda Botanical Gardens, Port Phillip Community Ball and events for Seniors week. One of the most popular singers to grace the stages of the festival, Sarah brings a special magic to her interpretations of the great jazz standards.. She is backed by a superb band. The Slipdixies formed in mid-2015 and are inspired by the early jazz and blues music of the twenties and thirties. Our repertoire ranges from hot driving rhythms to laid back blues. We play old favourites as well as lesser known forgotten treasures of the bygone era. ​ The band consists of clarinet, trumpet, banjo, resonator guitar, tuba washboard and vocals. We create the sounds of early New Orleans music with a mild modern twist. 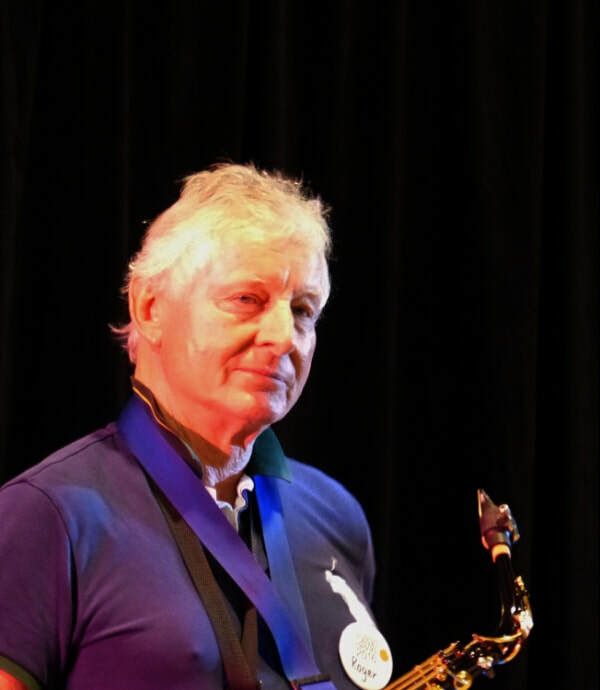 Pianist, composer and educator Tony Gould has received many accolades for his contribution to music in Australia - in 2008 he was awarded an Order of Australia (AM). Tony is much in demand and has performed with many great artists and orchestras both in Australia and overseas. He is probably best known as a great jazz pianist, but is equally comfortable playing classical and other musical genres and enjoys bringing his love of all music to his performances. Tony is happiest when playing with close friends in intimate settings and he finds the Inverloch Festival to be the perfect setting both for Tony’s trio and the audience. Westernport Regional Band is a dynamic community band with talented youth performing with adults. The band rehearses weekly and entertains crowds at 10 festivals annually. 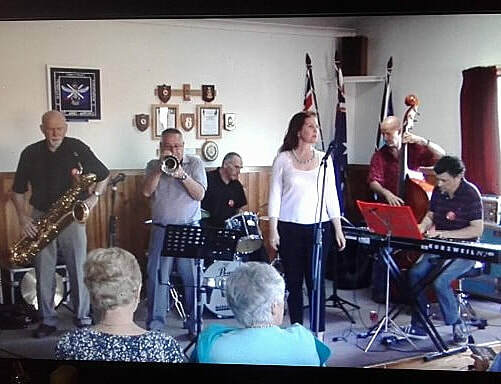 Recently the band played at the Mornington Winter jazz festival, playing at Main Street Festival and the Mornington Rose Garden this month and a dinner dance soon. The emphasis is on fun and dynamics, great big band swing and some Latin and jazz. We love to play and you will sure to love listening to this fabulous big band lead by Ian Oldstein, who has the knack of selecting some great arrangements. Toe tapping! The Wonderdogs were formed in 1994 and over the past 24 years have performed at many Jazz Clubs and Jazz Festivals across Victoria and New South Wales. The band also released two CDs since its formation titled ‘Kids Love Dogs’ and ‘A Good Clean Show. The band’s repertoire includes traditional Jazz tunes form the 20’s, 30’s and 40’s played with energy and enthusiasm. The Wonderdogs are well known for their strong driving rhythm section and tasteful solos performed by the front line.